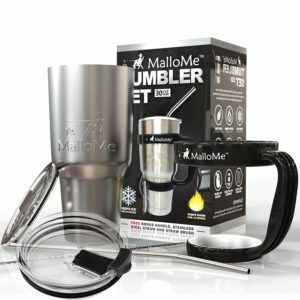 MalloMe Stainless Steel Tumbler 30 oz Insulated Coffee Cup Travel Mug with 2 Lids, Handle, Straw, Brush, 6 Piece Gift Set is now available at Amazon.com for just $16.99 (REG $89.99) (As of 11 February 2019, 18:03 PST – Details) with $73.00 (81%) Savings. 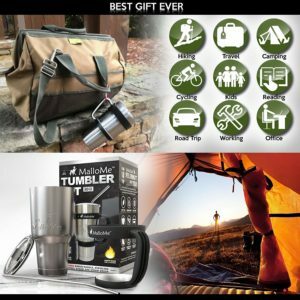 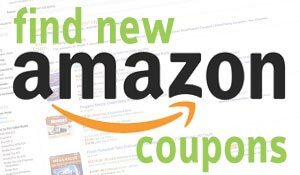 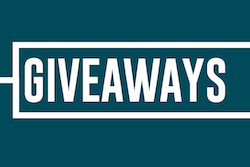 ★ EXCLUSIVE BONUS BUNDLE – BEST GIFT SET 2018! 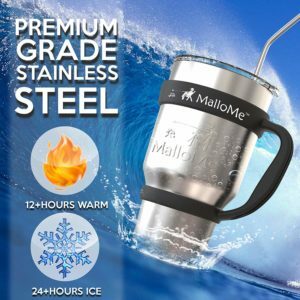 – Best in value for money: logo embossed insulated tumbler, 2 style lids (leakproof and sliding), tumbler handle, stainless steel straw, straw brush in a beautiful matte gift box. 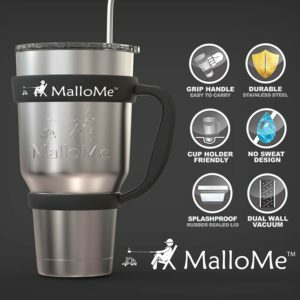 #1 INSULATION – ENJOY YOUR BEVERAGE COLD or SIP IT HOT – Tried and tested against Yeti and RTIC (video on YouTube) and MalloMe came out on top due to our impeccable engineered double wall design. 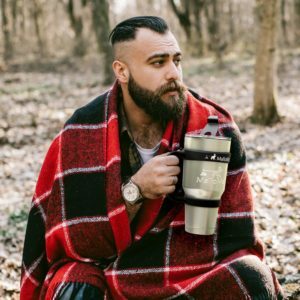 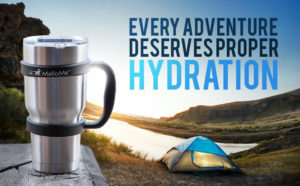 Now includes 2 tumbler lids! 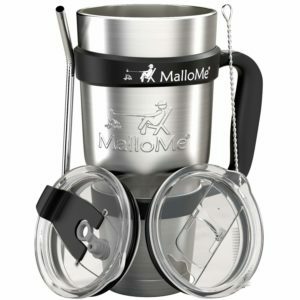 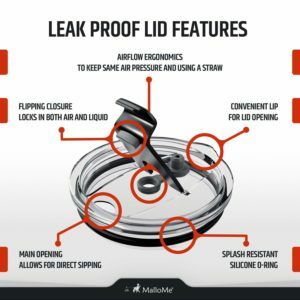 Leak proof lid for cold drinks and sliding lid for warm! 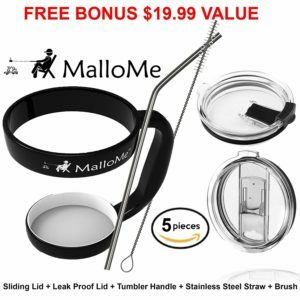 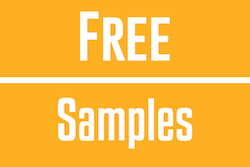 #1 LIFETIME GUARANTEE & 100% SATISFACTION – MalloMe is dedicated to address any product/service issues and is committed to delivering a 5 star experience for all buyers or your money back!